Yunnan Yongkang Pharmaceutical Company Limited, founded in 1996, is the Chinese Central Lee Jong - Kang Lee, Professor founded to collect drugs, Health food, Cosmetics production, research and the import and export trade as one of the large-scale enterprises. Companies with more subjects from experts of noodles and Chinese Institute. And Chinese medicine theory as a guide, research-based pharmaceutical and modern scientific means, with the development and production of anti-aging Health functional food "noodles and health salve"; Regulation of the endocrine, to improve the food situation in the skin, "Qi Li Yongkang Mulberry EFFECT OF CHINESE HERBS FESOL"; and the integration of a variety of skin-precious ingredients of Chinese medicine, without any chemical carriers and hormones, can rapidly be absorbed by the skin. effectively improve and repair all kinds of skin problems, skin care products, beauty ------ Li Yongkang Yumian repair powder series products; the company also designed and produced a special purpose Cosmetics "Li Yongkang skin lightening cream" and "whitening sun screen" system out products. 1996 companies have been identified as Yunnan CST high-tech enterprises, the same year, approved by the National Foreign Trade and Economic Cooperation, import-export business. In 2004, pharmaceutical companies through workshops departments of the State Drug Administration GMP certification; Health food companies GMP workshop after transformation, Yunnan Health Department review, foodGMP Health issued the certificates. Company extensive external OEM processing and the import and export business. 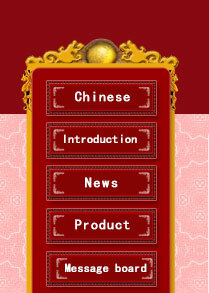 Development of the company's objective is : to inherit and carry forward traditional Chinese medicine. Forge ahead, constant innovation and technology to adhere to the pilot, to the quality of the main line, and make efforts to develop the use of specific plant resources in Yunnan, Chinese medicine and make contributions to the world. COPYRIGHT (C) 云南永康药业有限公司 YUNNAN YONGKANG PHARMACEUTICALS.,LTD.